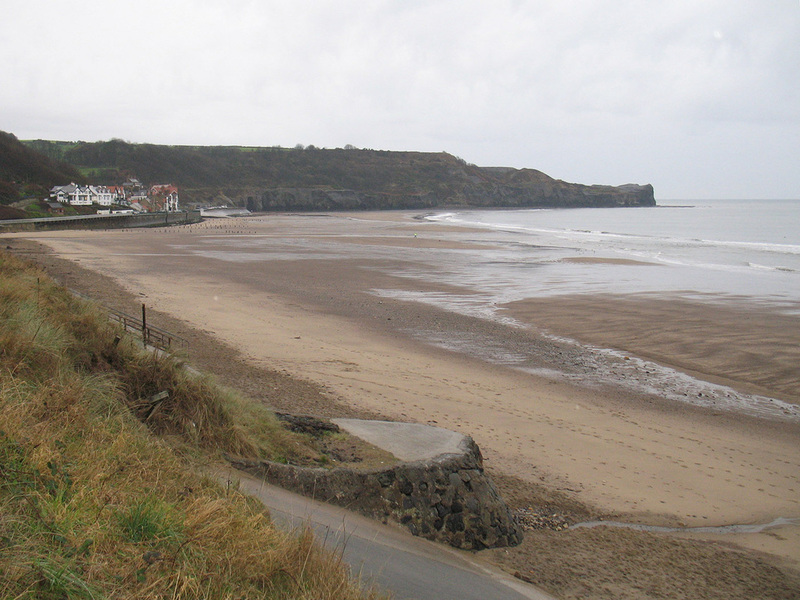 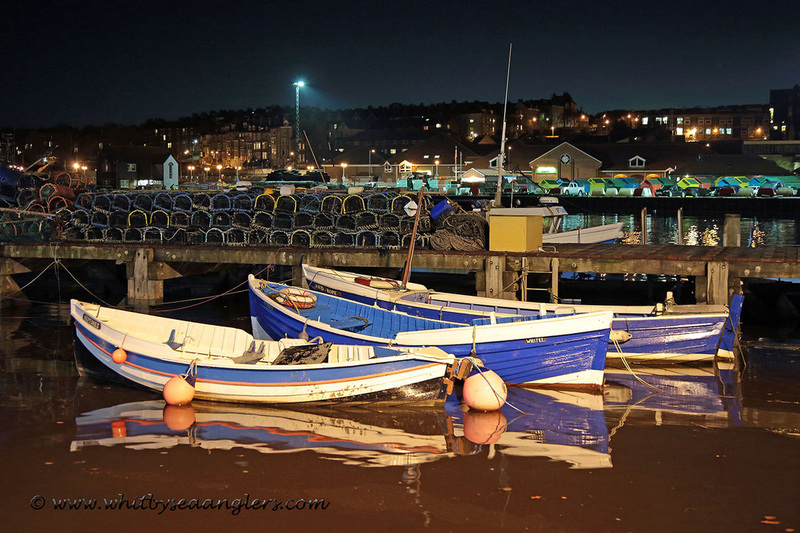 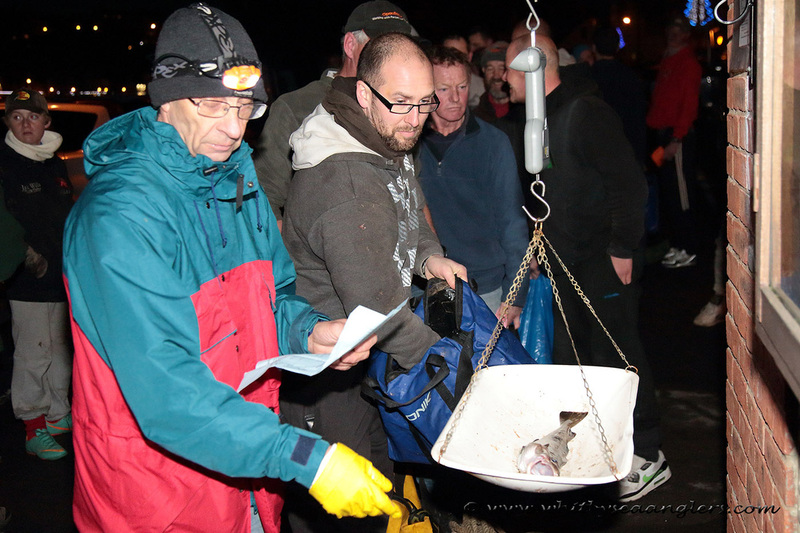 One hundred and two anglers, of which there were ninety eight seniors and 4 juniors, taking part in the 35th One Day Shore Angling Open match held by Whitby Sea Anglers Association. 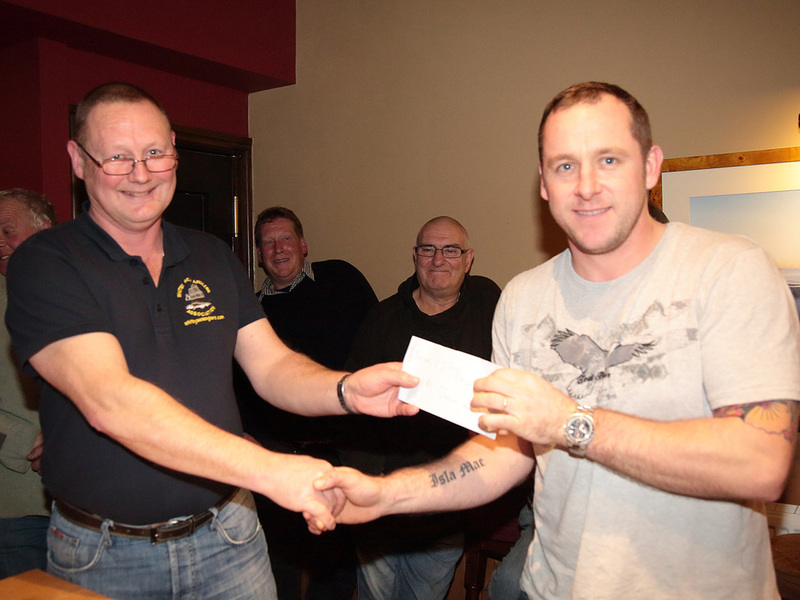 The first place prize of £500 sponsored by Wilf Nobles Plant Hire & Construction, represented by James Noble. 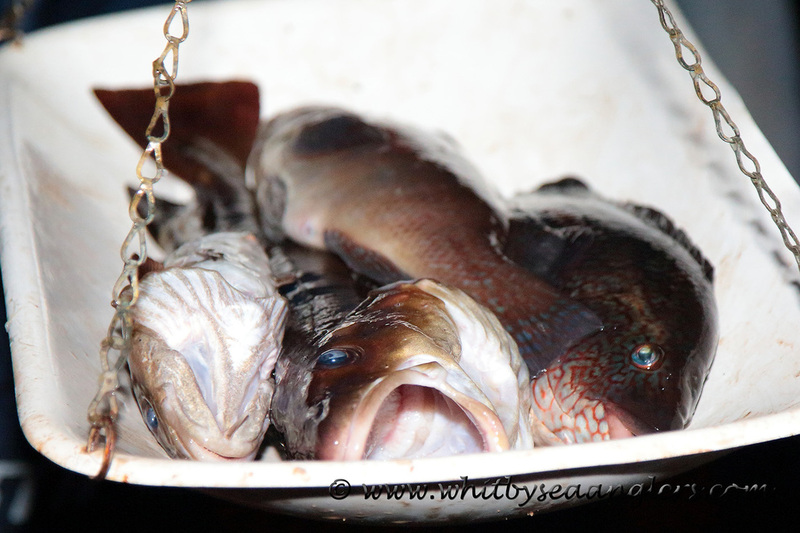 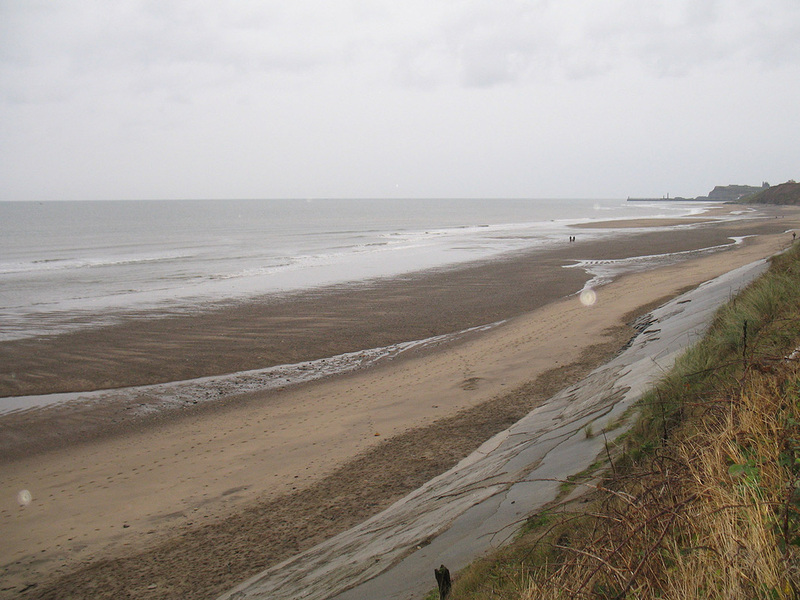 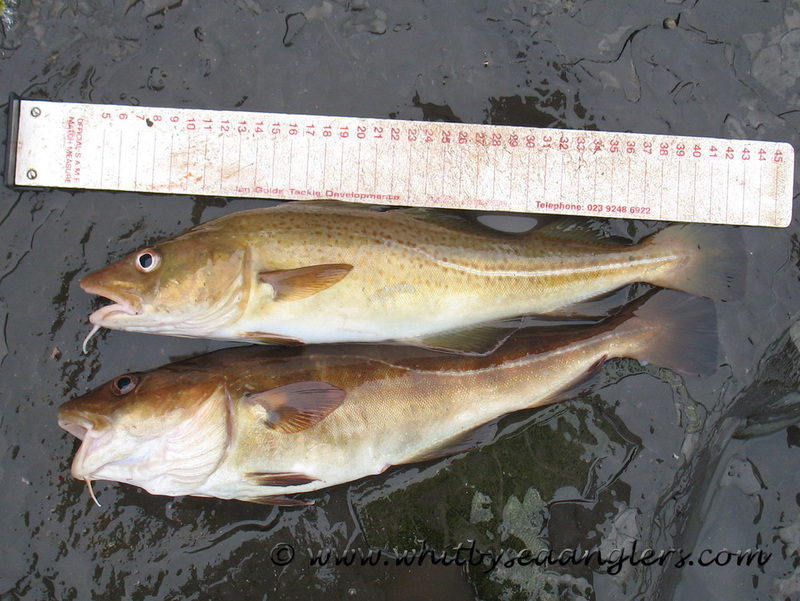 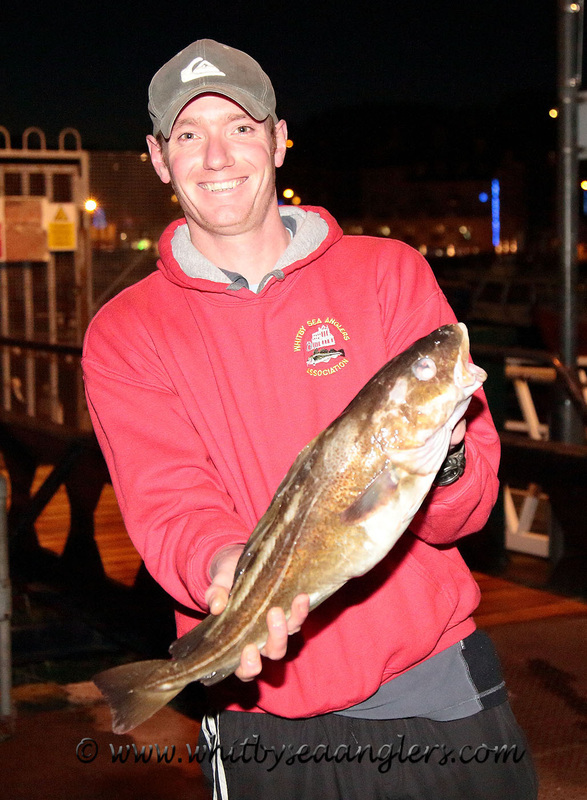 Conditions were far from ideal for perfect fishing, high pressure 1018 mbar, 10°C, easterly swell 1ft with colour which dropped out as the flood took hold. 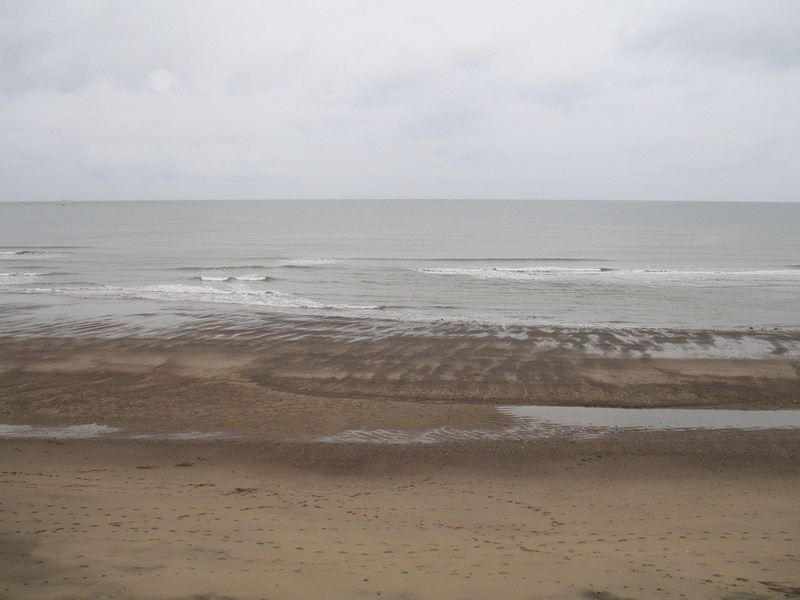 The swells were not regular, as their strength could not keep up with the flood, leading to periods of calm. 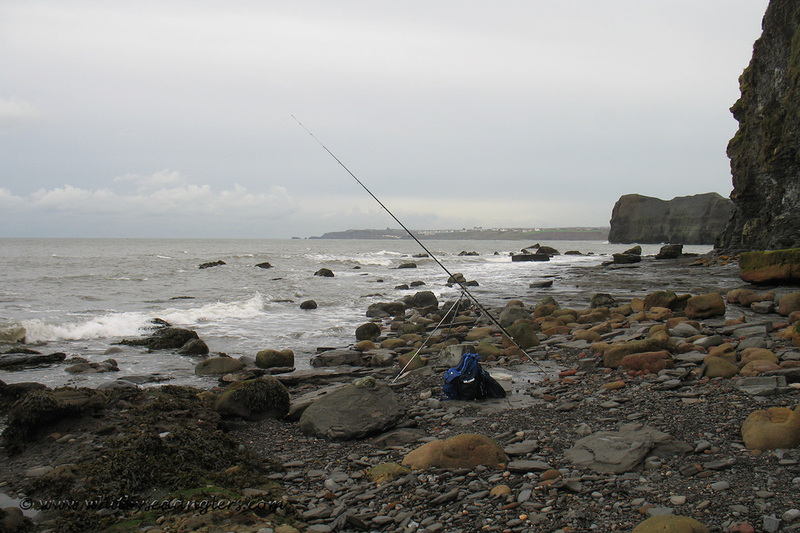 The north westerly wind slowly moved west north west 14 mph, which brought rain showers for the first 2 hrs of the 6hr match fished from 10am to 4pm. 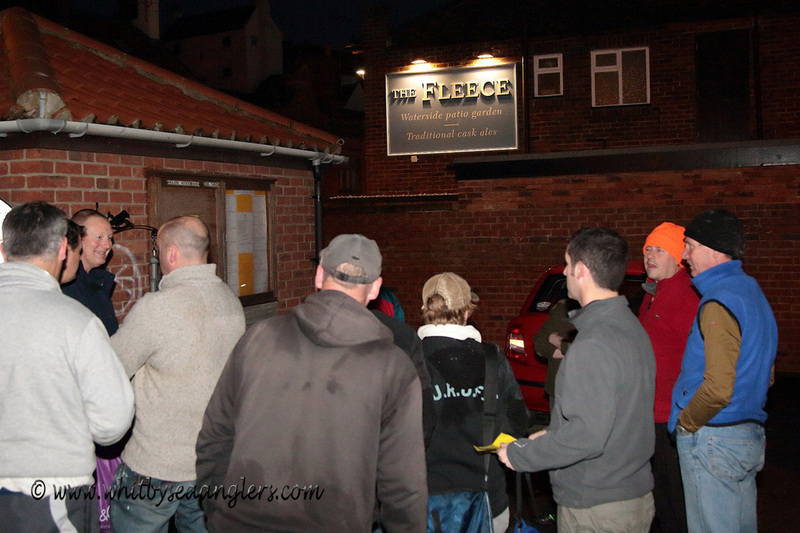 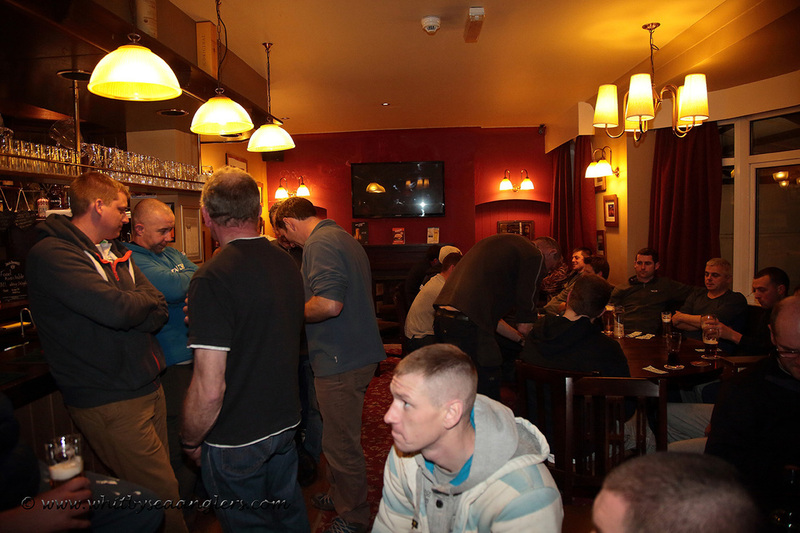 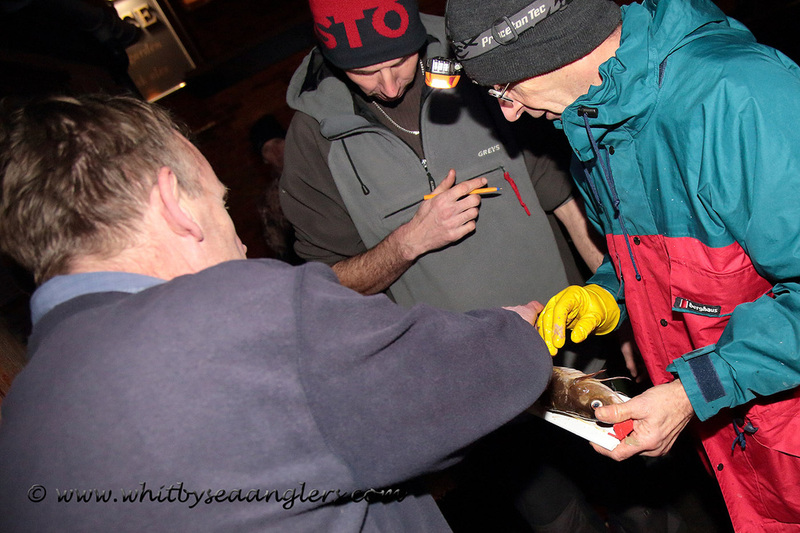 Weigh-in was between 4.30-5.15pm at the Fleece, Church St. Whitby. 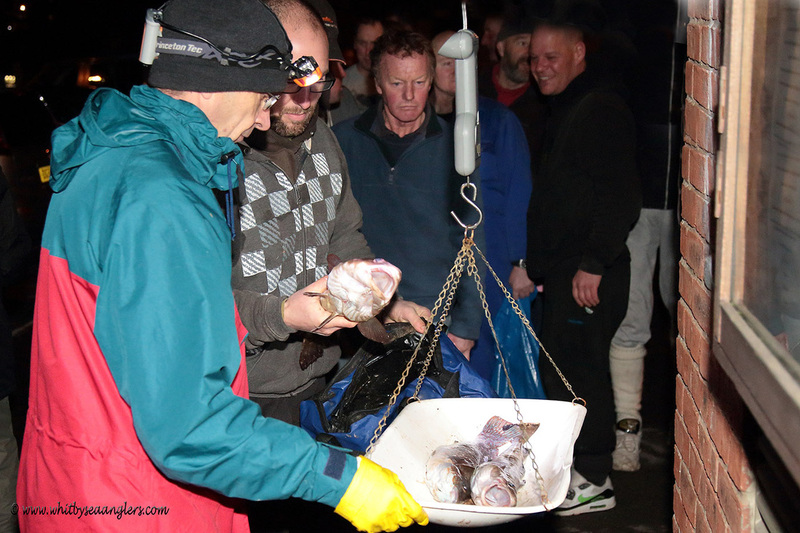 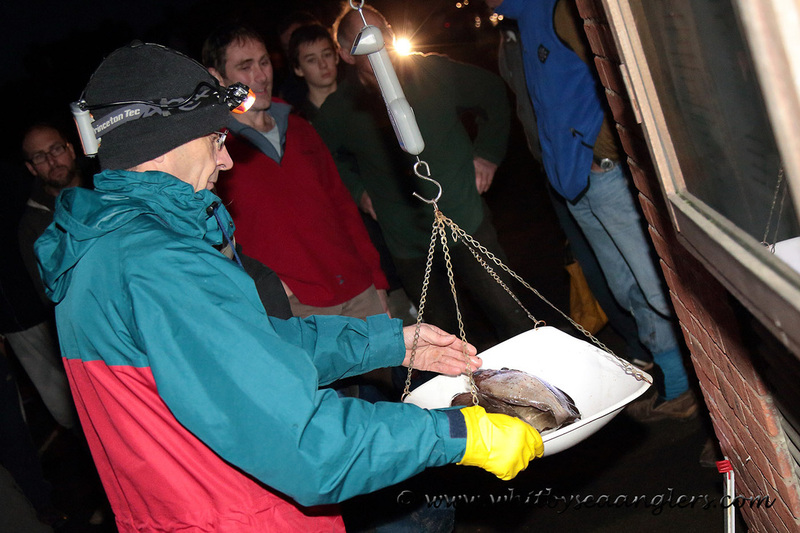 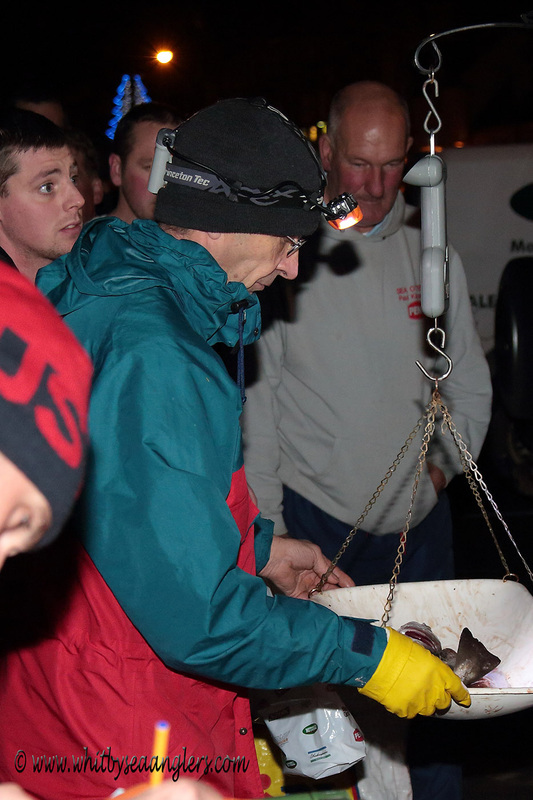 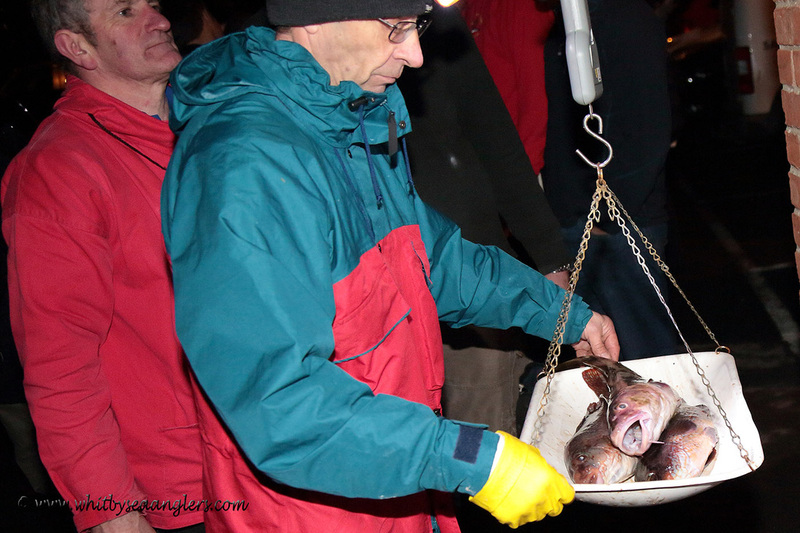 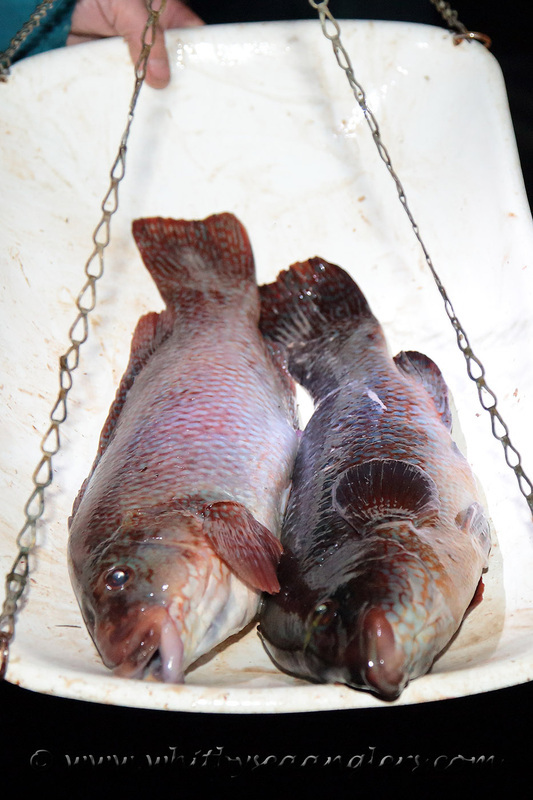 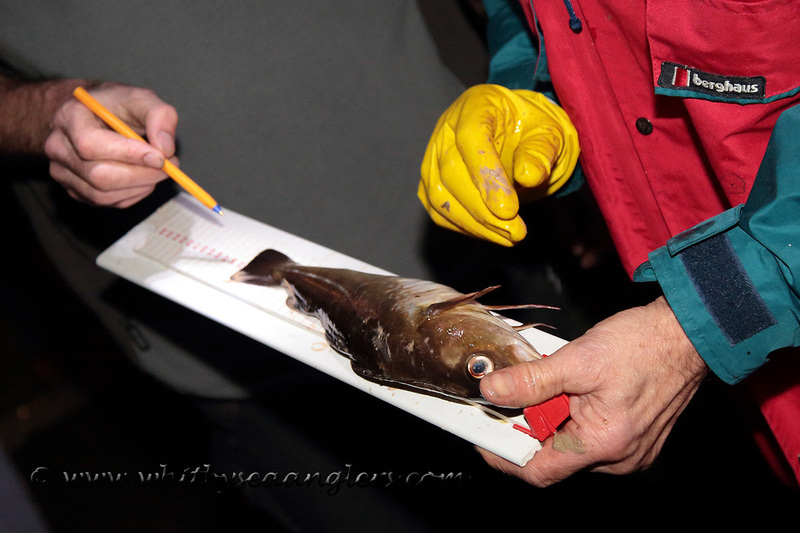 Twenty nine seniors and two juniors weighed-in 91 assorted fish for a grand total of 198 lb 00 oz - 70 codlings, 13 wrasse, 3 poutings, 2 pollocks, 2 billets and 1 flat fish. 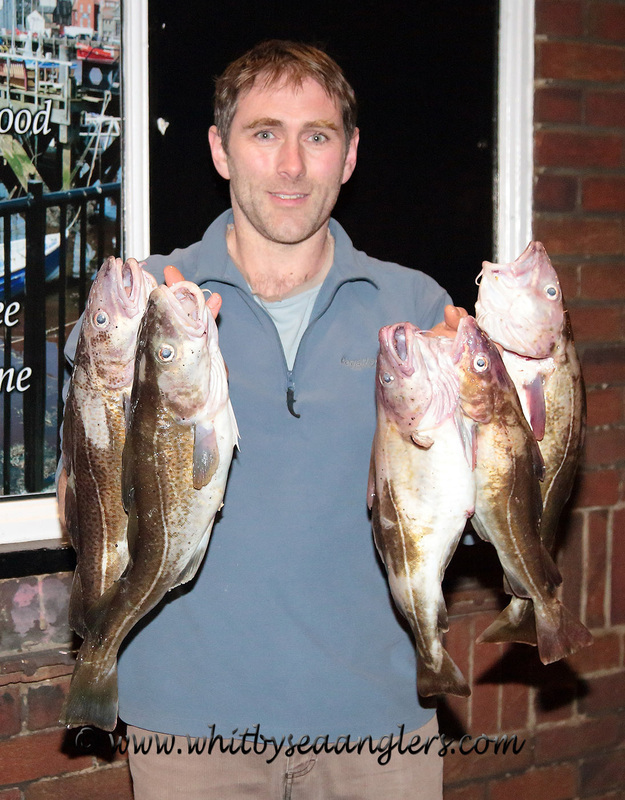 Whitby Sea Anglers Association member Rob Allison, from Loftus, picked up the “Whitby Townsend Sea Angling Associations Trophy” (the 11th member to do so) with seven codlings for 19 lb 00 oz, his heaviest fish was 4 lb 05 oz. 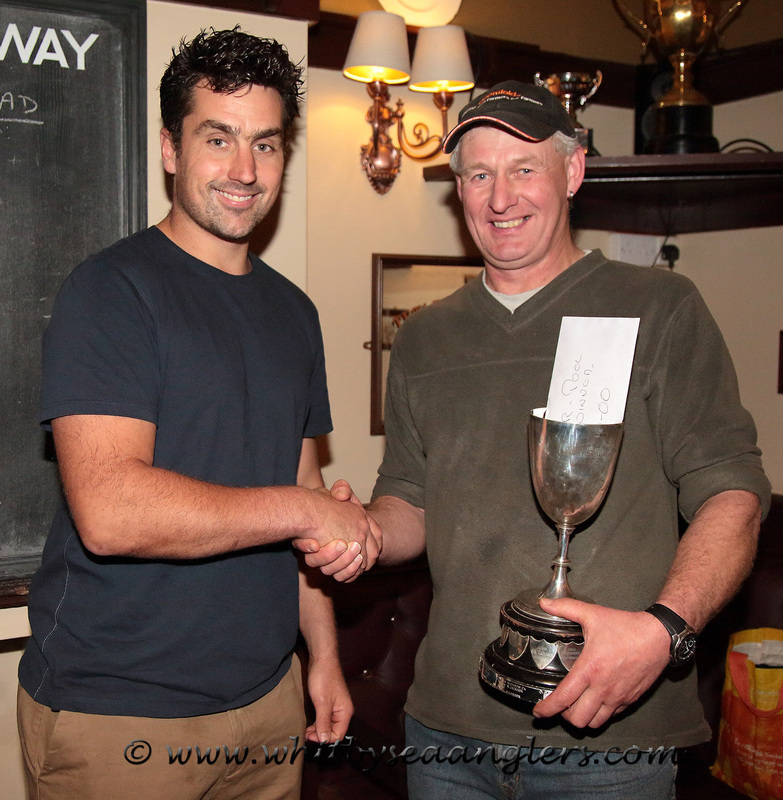 James Noble was present to present Rob with his £500 first place prize sponsored by Wilf Noble Plant Hire & Construction, and the trophy. 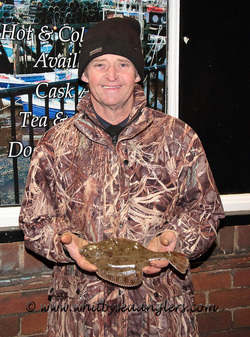 Mick Chadwick, 3rd overall, picked up the “Whitby Sea Anglers Association Challenge Cup”, for the Heaviest Fish 5 lb 14 oz in the Superpool, and £130. 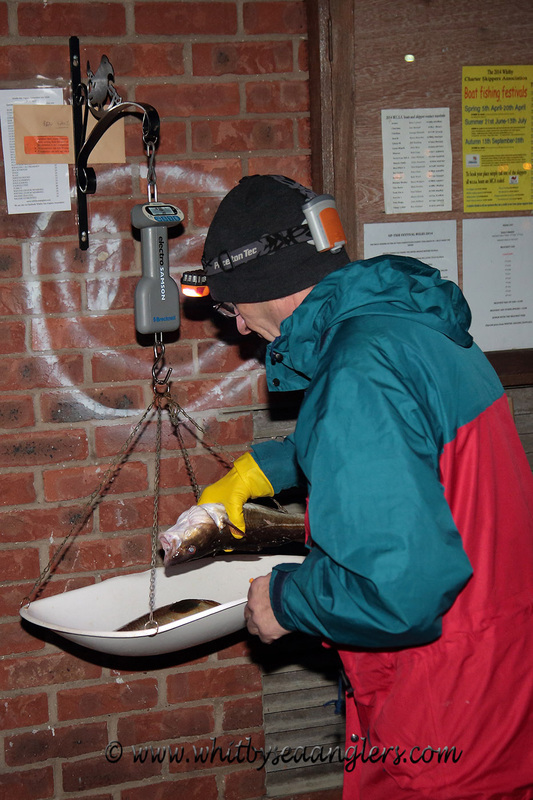 Denis Thompson, WSAA member weighed the 2nd Heaviest Fish 5 lb 07 oz and collected £65 in the Superpool. 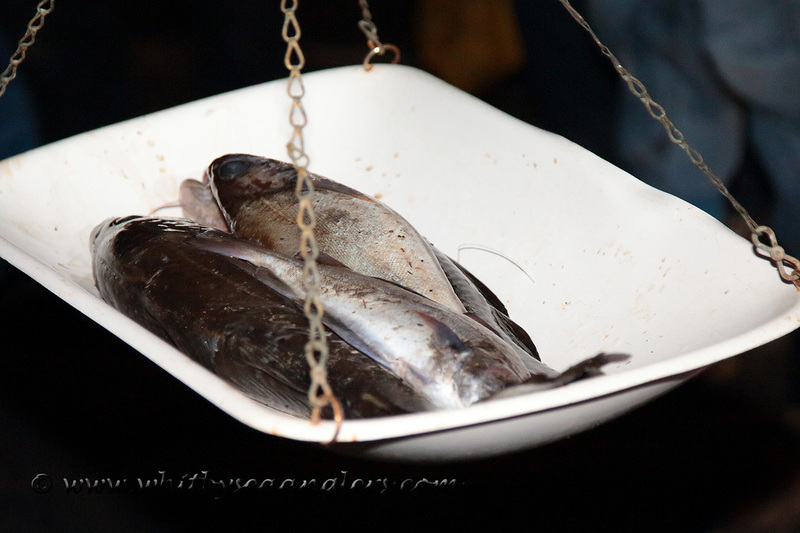 3 lb 07½ oz respectively. 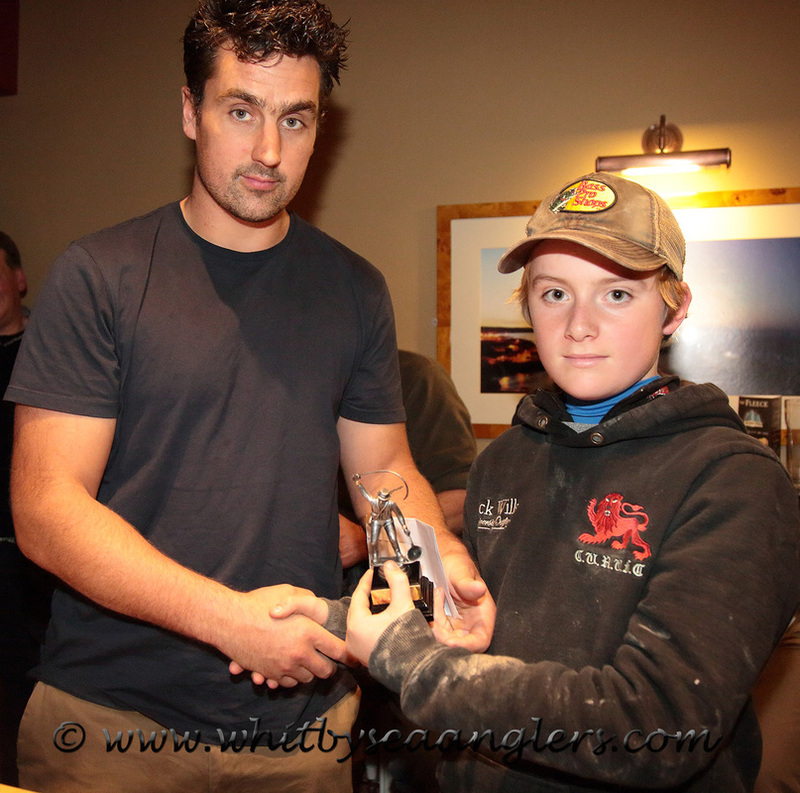 If Miles had bought a Senior ticket he would have been 8th overall - well done. 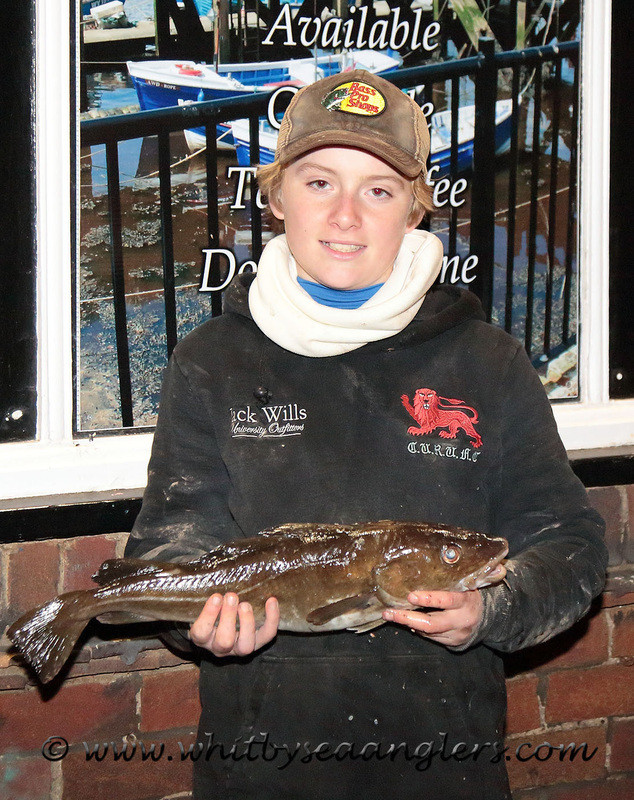 2nd was Tom Donghue with 1 billet 14½ oz. 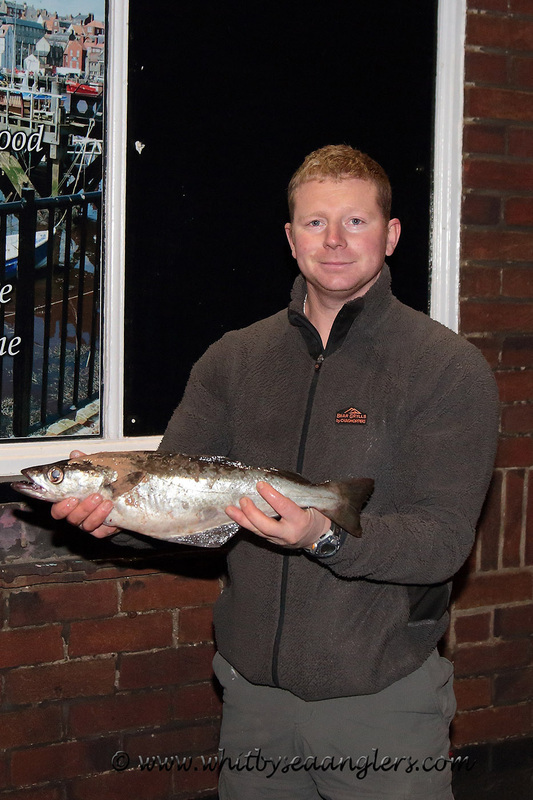 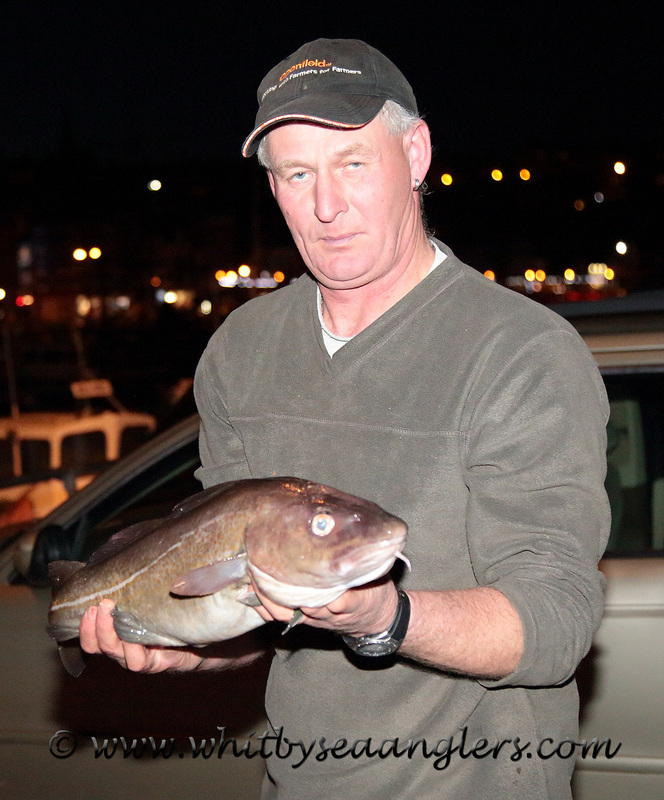 Rob Taylor won the 17th Special Place prize of £50 sponsored by Java Café, with 2 codlings for 5 lb 12 oz. Michael Breckon, Sleights, landed the Heaviest Flat Fish 10 oz and picked up £50 sponsored by Mick Beedle, and he also came last so picked up a special prize of £25. 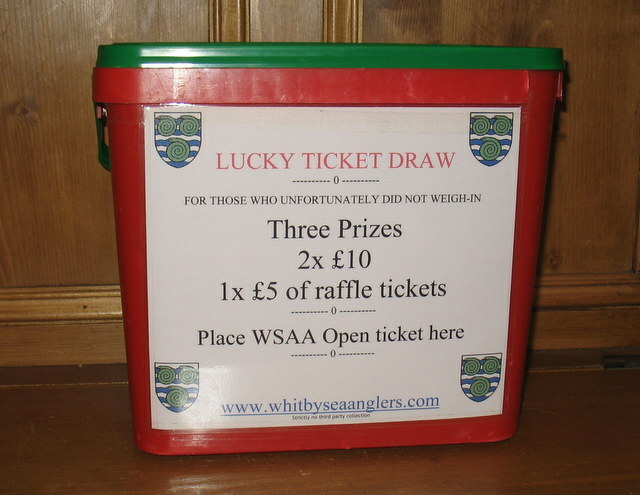 In the “Lucky Ticket” draw Dave Perrett & Harry Moon won £10, and Mike Vasey won £5 of raffle tickets. 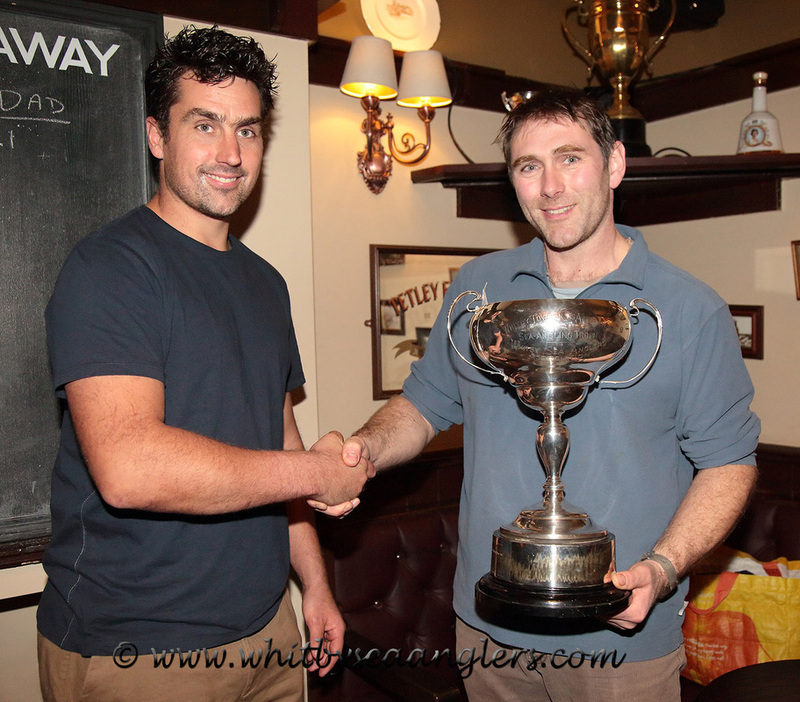 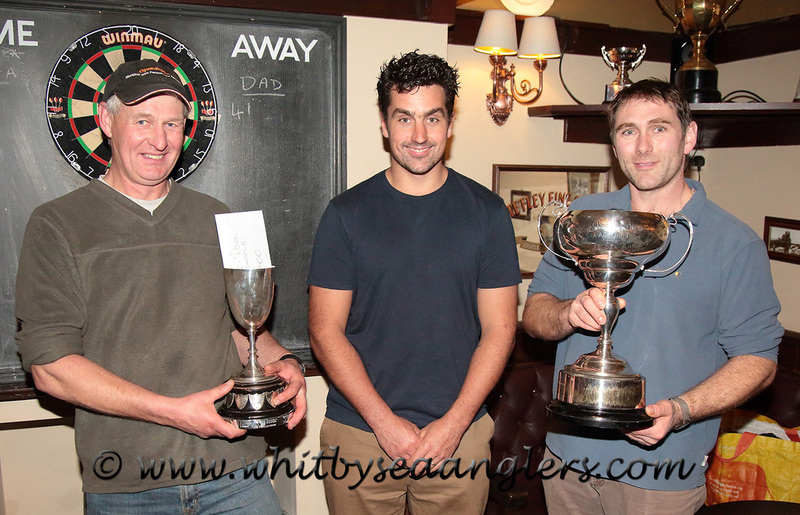 Rob Allison receives the "Whitby Townsmen's Association Sea Angling Trophy"
"Whitby Sea Anglers Association Challenge Cup"
sponsored by Mick Beedle Building & Construction, Loftus. 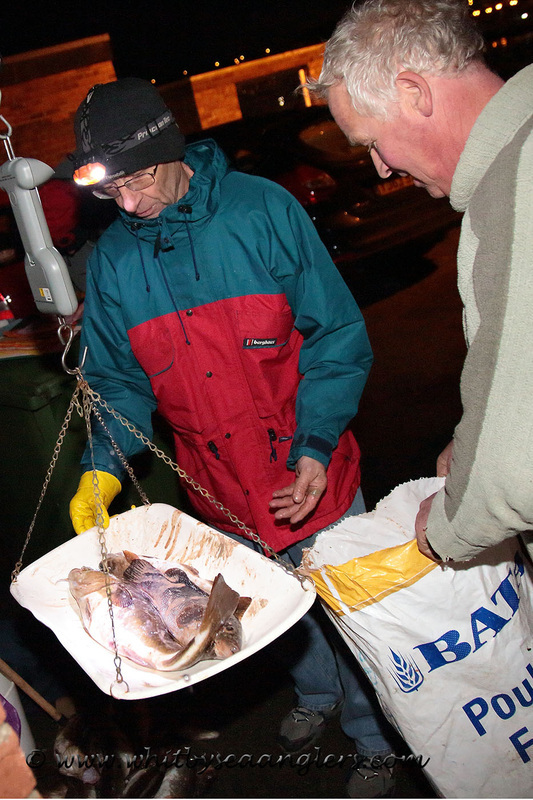 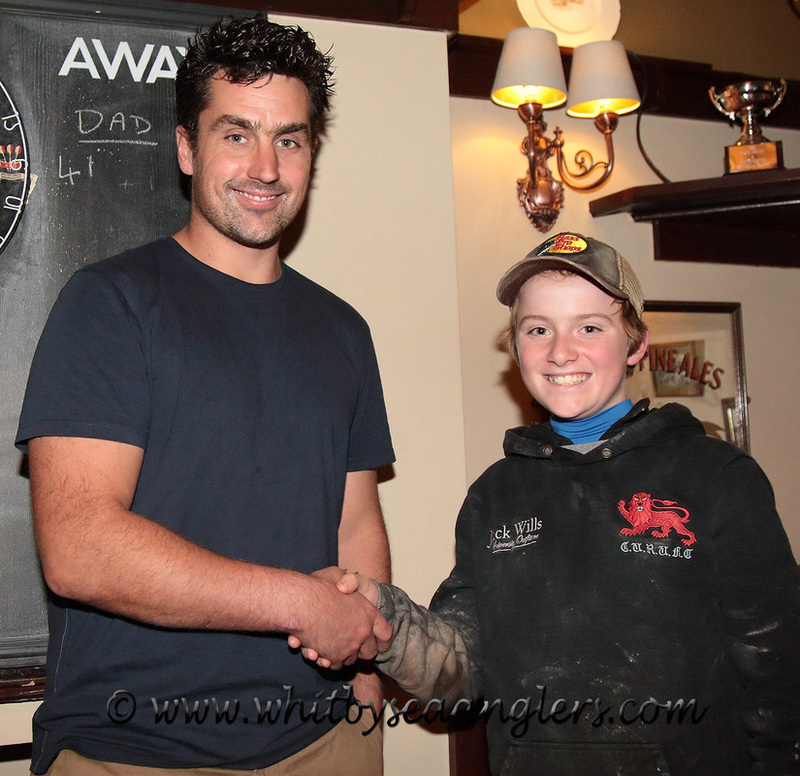 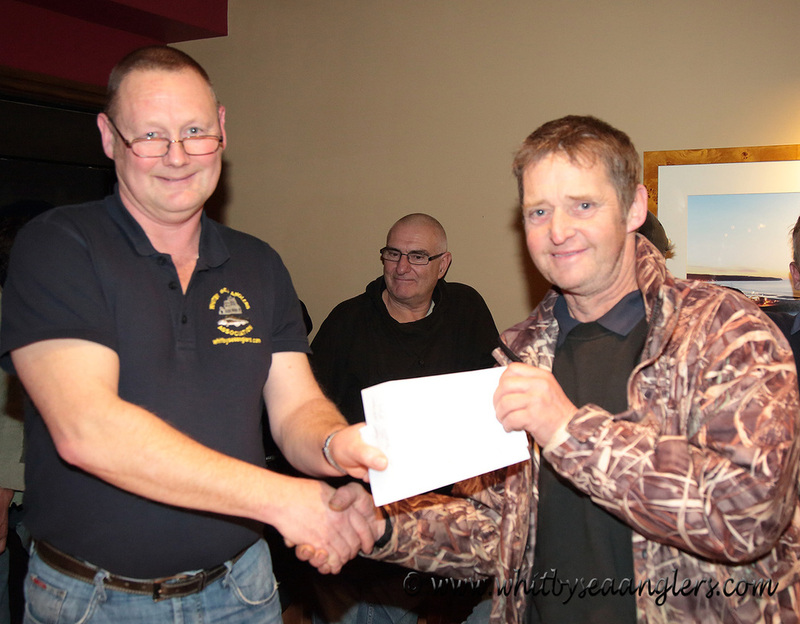 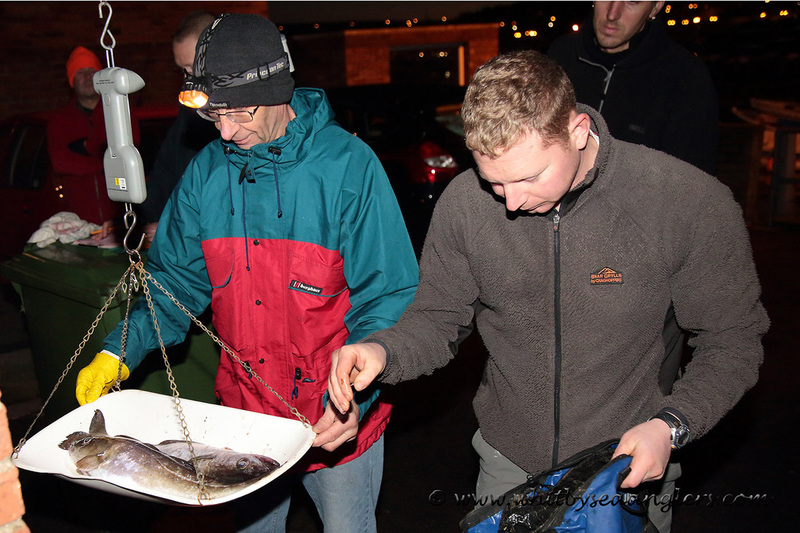 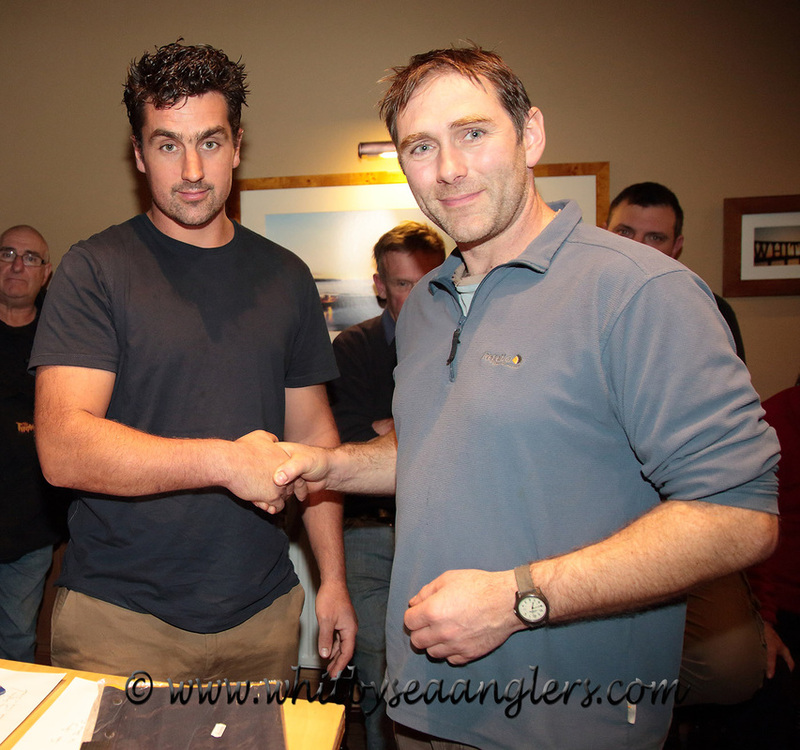 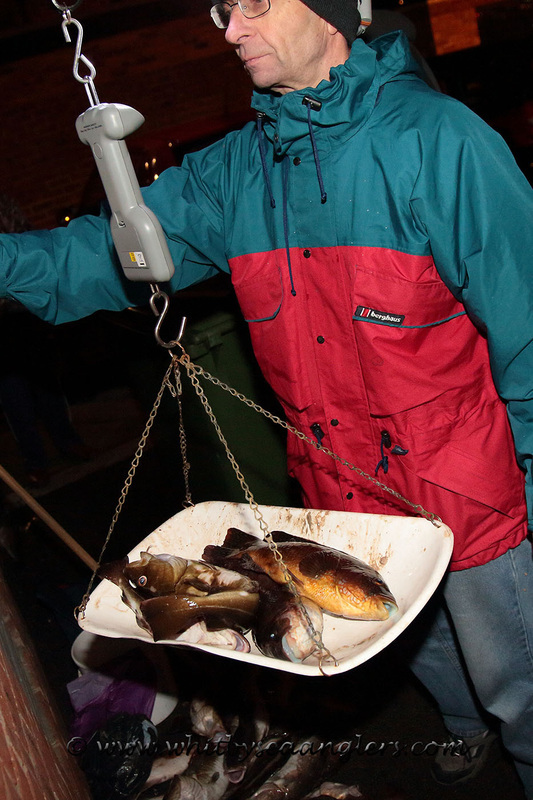 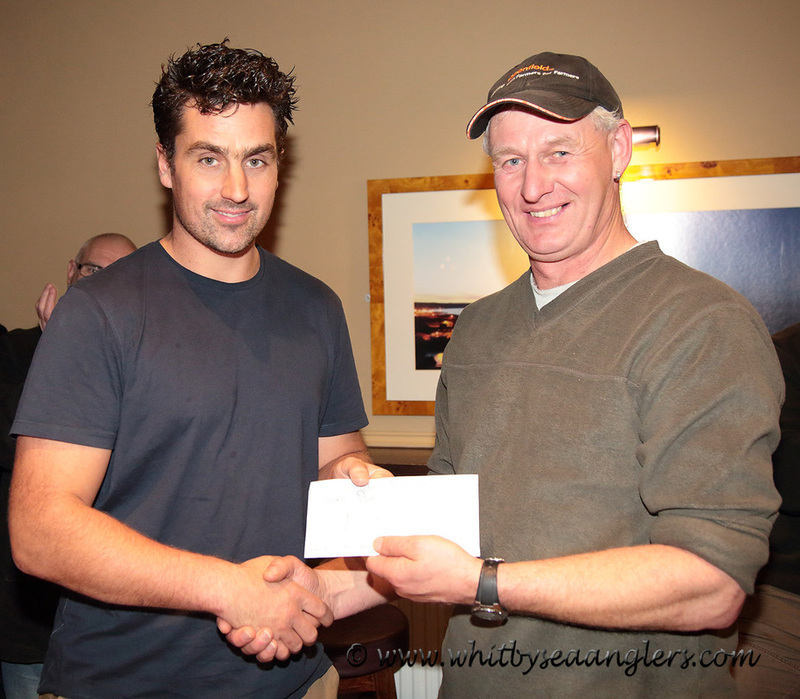 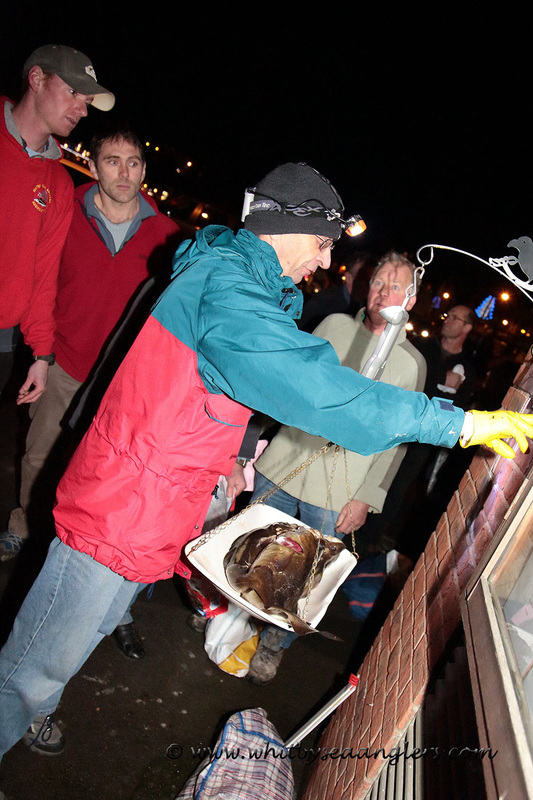 Michael Breckon receives £50 for the heaviest Flat Fish & £25 special prize for last place. 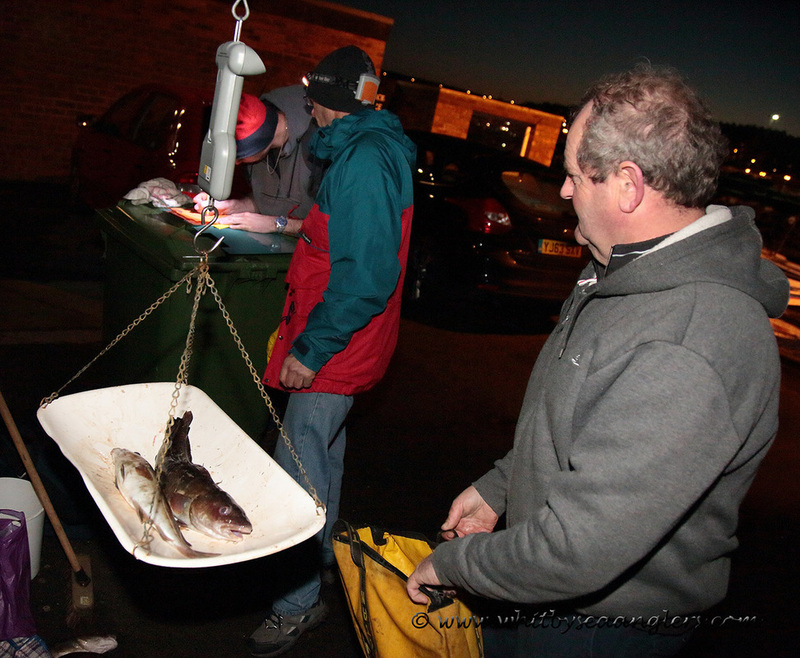 First fish landed and in the bag before 10.10 hrs, and another hooked before 10.30 hrs. 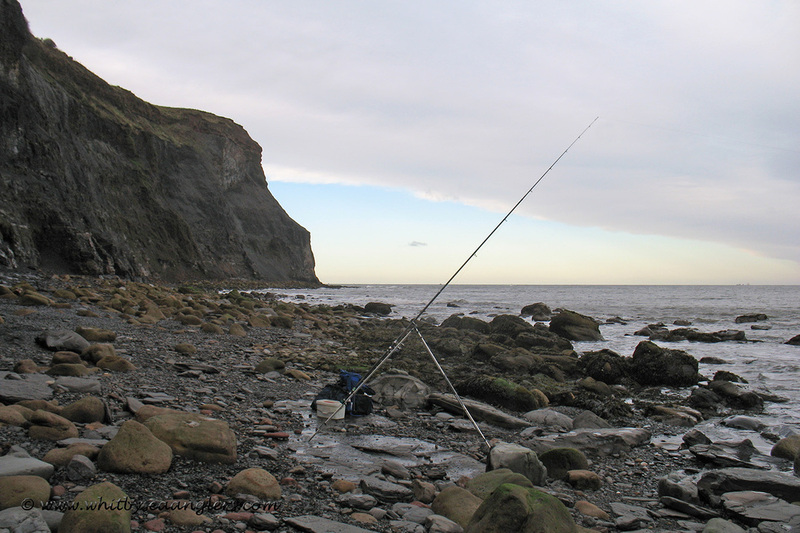 Sadly it got its head down in amongst the rocks and I was unable to get it out, despite waiting 5 mins for it to swim clear, as Mick Bowman waited patiently to land it. 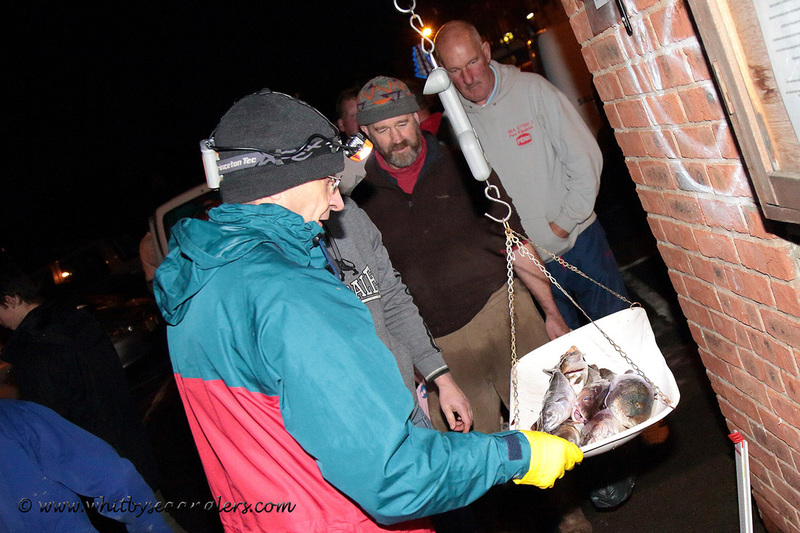 Overall a good day 23rd with two for 2 lb 12 oz. 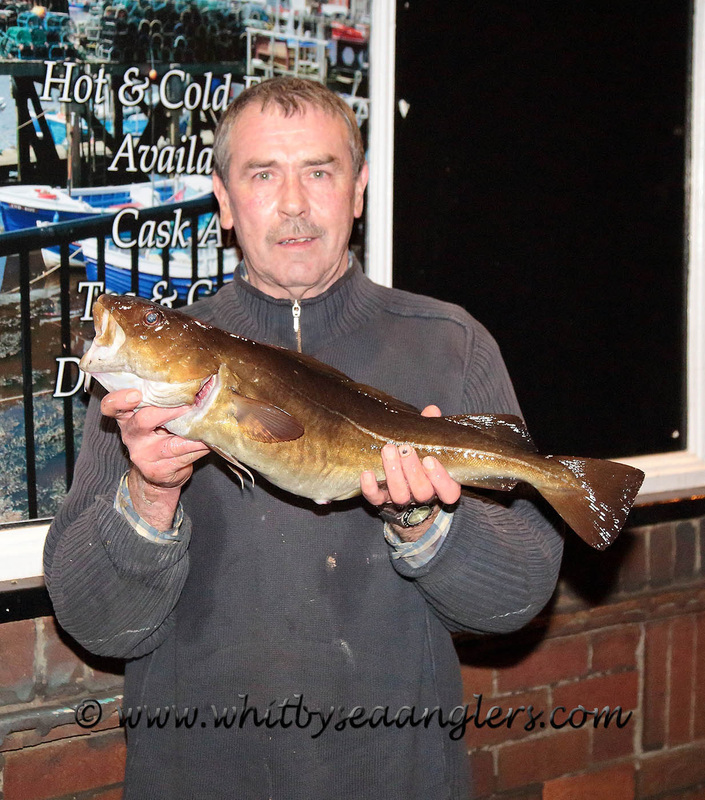 Heaviest Fish Denis Thompson 5 lb 07 oz. 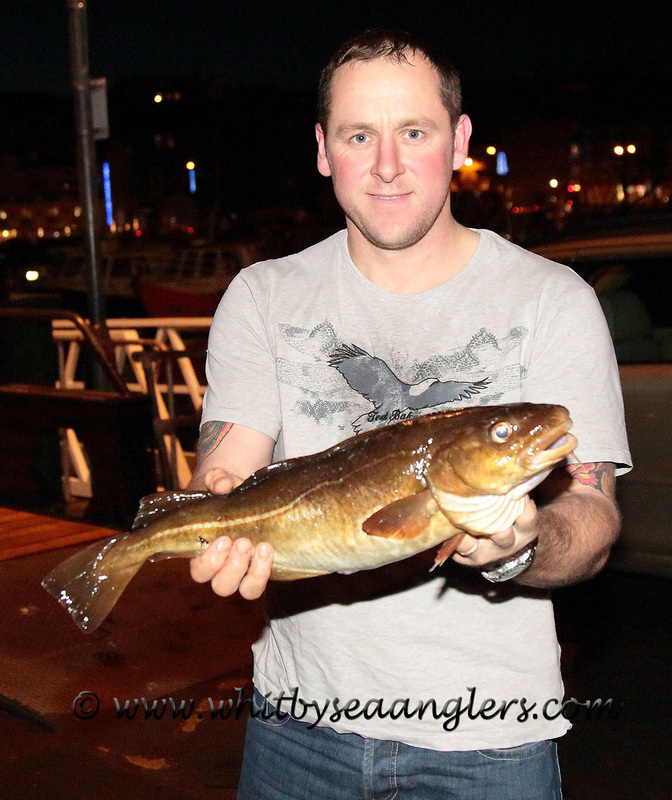 Rob Allison has closed the gap to Matthew Garbutt to 13 lb 07 oz, Colin Stainthorpe is now 08 oz behind Andrew Cass. 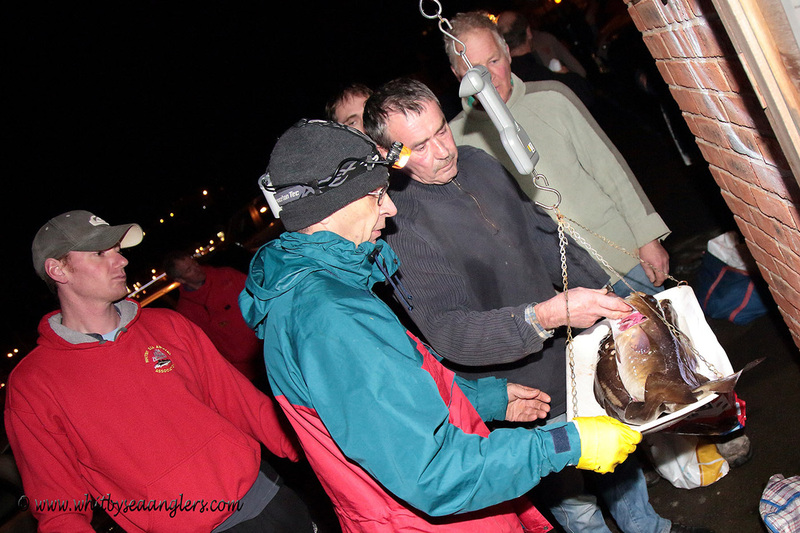 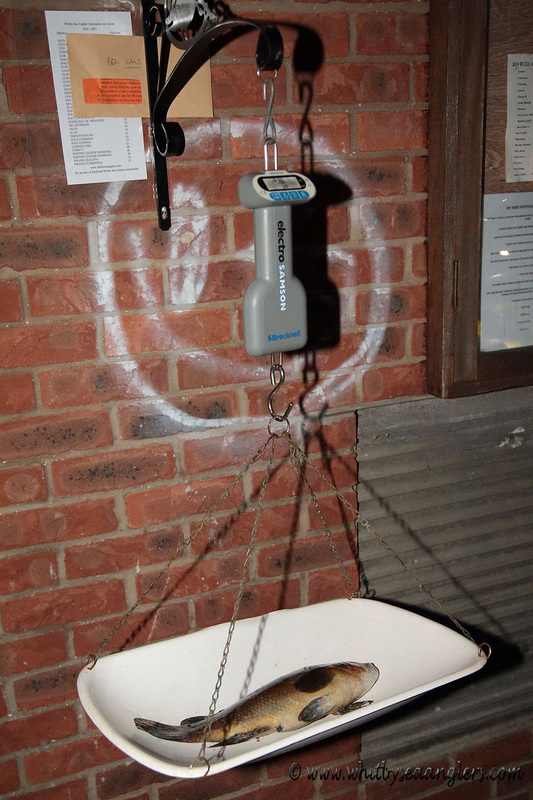 ​Many thanks to all who helped, Bernard Vasey & James Gilpin for the weigh-in and attention to detail. 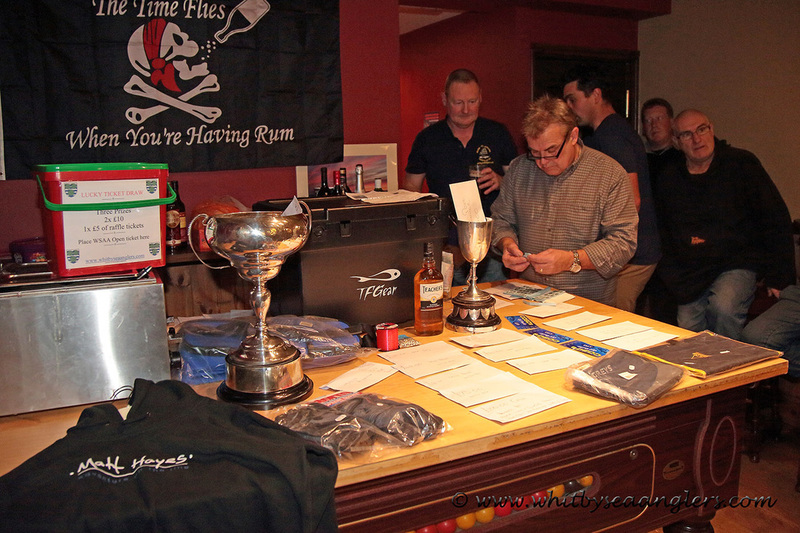 Dave Perrett WSAA Treasurer for organising the prizes and prize table. 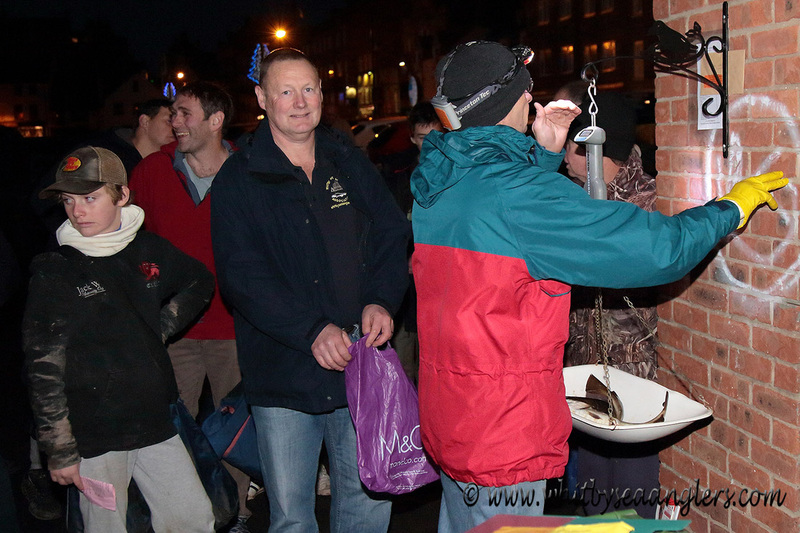 Colin Stainthorpe, James Gilpin, Bernard Vasey & Paula Pitman for selling the raffle tickets and conducting the raffle. 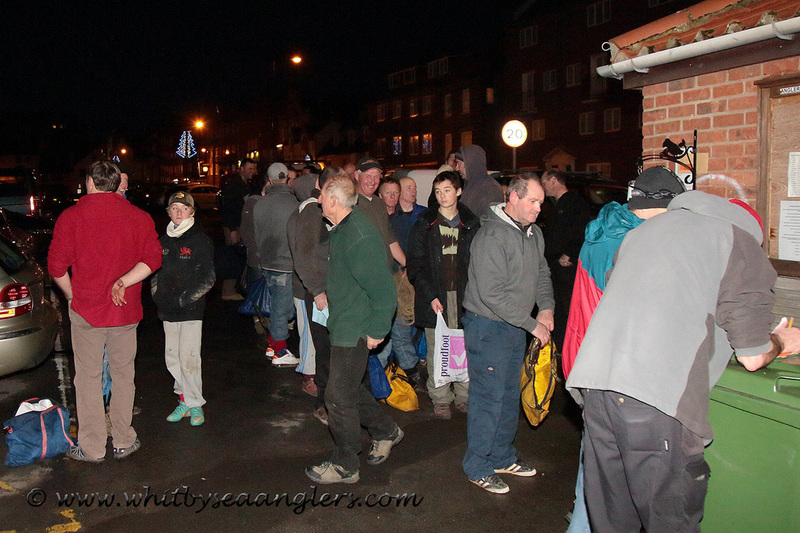 Tight lines and see you all next year.